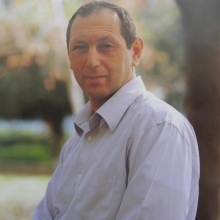 From 05.08.2018 to 19.08.2018 UCSU "Modern Nanotechnologies" will be visited by Lubomirsky Igor, head of the laboratory "Dielectrics, Electromechanics and Ion-Conductors", Department of Materials and Interfaces, Weizmann Institute of science, Rehovot, Israel. Igor will come in the framework of joint research of electromechanical and inelastic effects in oxygen deficient ceramics. Self-supported thin films of Gd-doped cerium oxide have unusual mechanical and electromechanical properties, which makes this material a very promising candidate for use as an electromechanical actuation in MEMS.